While its name might indicate a kinship with the famous and beloved Mazda MX-5 Miata, the MX-6 was, essentially, a two-door version of the Mazda 626 sedan. Sharing its core mechanical bits with the 626, as well as the Ford Probe, the Mazda MX-6 put a sportier spin on the familiar family car. For the North American markets, including the U.S., the Mazda MX-6 was built alongside these other models at the Auto Alliance plant in Flat Rock, Michigan. First arriving in 1987, the original Mazda MX-6 was powered by a choice of two 2.2-liter four-cylinder engines. 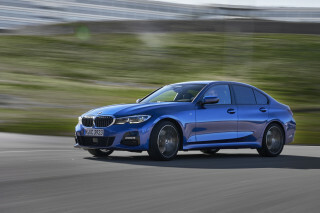 The base version was rated at 110 horsepower, whole the upgraded turbocharged version available on MX-6 GT models rated 145 horsepower. Both engines were available with either a five-speed manual or four-speed automatic transmission. In addition to extra power, the MX-6 GT also scored four-wheel disc brakes, anti-lock brakes, and a three-mode electronically adjustable suspension system. An optional four-wheel steering system was added to the MX-6 GT for the U.S. market in 1989, intended to improve both low-speed maneuverability and high-speed stability. The four-wheel steering system was complex and unusual for its time, but it worked well in contemporary tests, reducing the turning circle radius and boosting high-speed maneuvering stability. For most buyers, the 4WS system was simply too expensive to justify the benefits, and was rarely selected as an add-on. The second-generation Mazda MX-6 rounded off the previous generation's square lines, as well as updating the engines and chassis substantially. 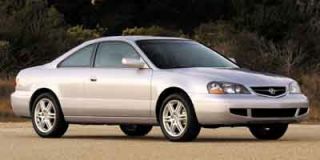 Slightly longer in wheelbase, the MX-6 still weighed a relatively svelte 2,750 pounds (approximate), and offered stirring, if not breathtaking performance. 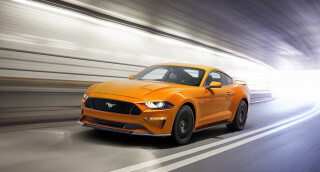 The base engine was a 2.0-liter four-cylinder, good for 118 horsepower. An upgraded 2.5-liter V-6 was available on the LX, or "luxury" model, and was rated at 164 horsepower. 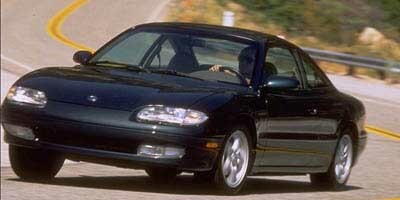 The second-generation version of the Mazda MX-6 didn't get the four-wheel steering option in the United States. Mid-way through the second-gen MX-6's run, in 1995, OBD-II on-board diagnostics were added to the car, resulting in a slight decrease to 160 horsepower for the LX model. On top of its more luxurious status, the second-generation Mazda MX-6 also added a standard passenger-side airbag to its list of safety features in 1994. By the time 1997 rolled around, the Mazda MX-6--and its mechanical cousins--were finished. 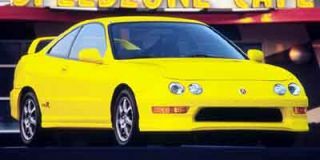 Despite the high-tech elements in the MX-6's option list, as well as the generally attractive styling and fun-to-drive performance, the MX-6 name was retired, though the 626 it shared much of its running gear with continued on until 2002, when it was replaced by the Mazda6.